The point of drug abuse treatment is to help you to become sober and stay sober. However, if you’ve ever been to rehab and relapsed, or if you’ve known someone who has, you know that it doesn’t always work. 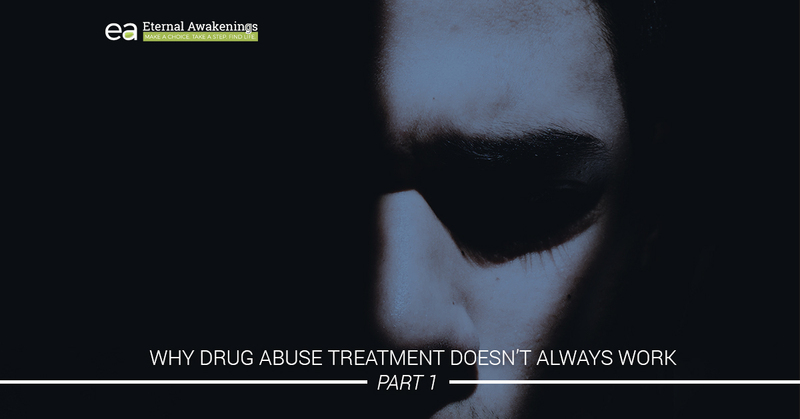 No one wants to waste their time on something that doesn’t work, so let’s take a look into some of the most common reasons that drug rehab fails to make a lasting difference. We’ll also list some of the things that you can do to ensure that these things won’t be obstacles to your recovery. People end up in rehab for many different reasons, but just finding yourself in a rehabilitation program doesn’t mean that you will emerge rehabilitated. If you don’t want to be there, you will have great difficulty receiving effective treatment. The people in rehab who do want to be there are the ones who typically make the most progress the fastest. In some cases, we’ve seen that it requires a person to come to the realization, “I’m going to die if I don’t get help. I don’t want to die.” Therefore, they hungrily consume everything that comes with the program as a drowning person would cling to a life preserver, and the treatment works. If you want your drug abuse treatment to work for you, don’t approach your sessions with a resistant attitude. Embrace your recovery, soak up the sessions like a sponge, and remind yourself every day why you want to be there. It’s sad but true that people can get on each other’s nerves, hurt each other, and do things that irritate or offend others. Your recovery from addiction can’t be divorced from interaction with people. We’re not interested in sending you to a monastery for the rest of your life. What can happen is that you get deeply offended or wounded by another person on the program, a staff member, or someone completely outside of treatment. You feel extreme anger over what they did (and it may be a true injustice that was done to you), and this anger and rage settles in your soul as bitterness. Bitterness will harm your chances of recovery as much or more than almost any other thing. It causes you to focus on the offense rather than on your recovery. In the long run, it ends up damaging the bitter person far more than it damages the offender. Forgiveness is a completely counter-intuitive response to people who do us wrong, especially in cases where we are innocent victims. Jesus was innocent of any wrongdoing, yet he prayed from the cross, “Father, forgive them, for they know not what they do” (Luke 23:34). At our Christian rehab center, we believe in the power of forgiveness to set you free to experience the fullest possible recovery for yourself, and we will talk in depth about how to extend healthy forgiveness to your offenders. When you choose a rehab center for treatment, you’re trusting them to deliver quality counseling and a program that works. However, not all rehab centers are equal. Some of them are better than others at delivering a treatment program that gets results. Some are truly committed to your wellbeing and success, and others, unfortunately, are pure marketing hype. You should also take into account that even a good rehab program might not be a good fit for you, and therefore might not be as effective at meeting your needs. Here at Eternal Awakenings, we are committed to offering a rehab program that works, and 90% of our graduates remain drug and alcohol free 2 years later. Check out our take on what to look for in a Christian drug rehab center, and learn 7 questions you should ask when enrolling in treatment. Also, please stay tuned for our next blog post, when we’ll explore more reasons why drug abuse treatment doesn’t work, and solutions that can help you to enjoy a complete and permanent recovery. We’d love to serve you, counsel you, and lead you to the place where you are truly free from your addiction. Our Christian-based drug and alcohol treatment is affordable, effective, and located in a serene and peaceful setting in a beautiful, historic Texas mansion. It is one of the best-kept secrets for premier rehab at an affordable price. Please call our helpline at 888-672-0298 or send us a message to get started with the enrollment process.